I did some research about the hair and makeup created for the movie before I started this process. I found a video tutorial created by the actual makeup artist and used the same techniques to create my look. I also collected images of the hair from the movie and other styles from women in the 1930's. I used Lotta Body setting lotion to make the finger waves and pin curls. I had never used that product before, but it worked really well and I would recommend it to anyone trying to achieve the same style. 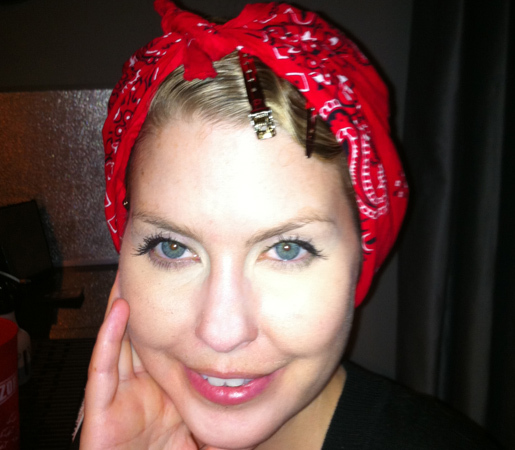 I also used the book Vintage Hairstyling as a guide for the finger waves and the pin curls. 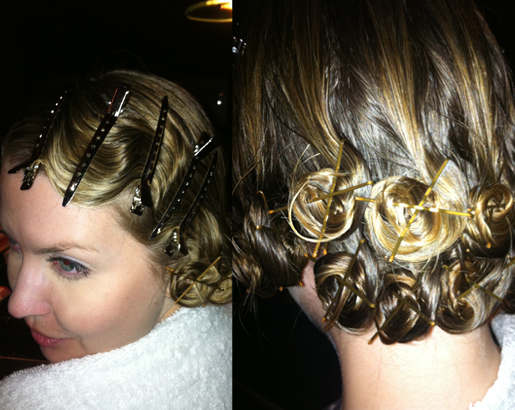 clips were used to hold the finger waves in place until they dried. them at the nape of the neck. After the hair was set, I wrapped it in a bandanna to protect the hair while Buffie slept. 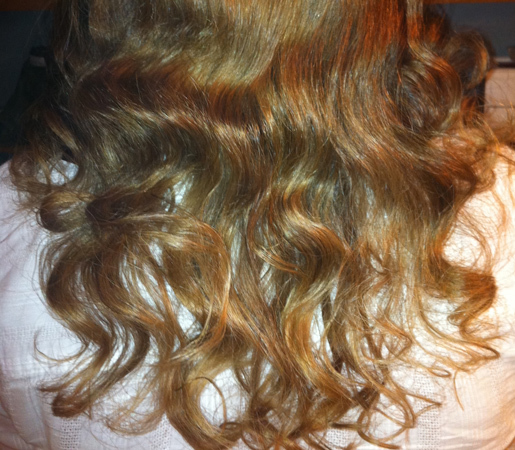 I did the hair the night before to give it time to dry. 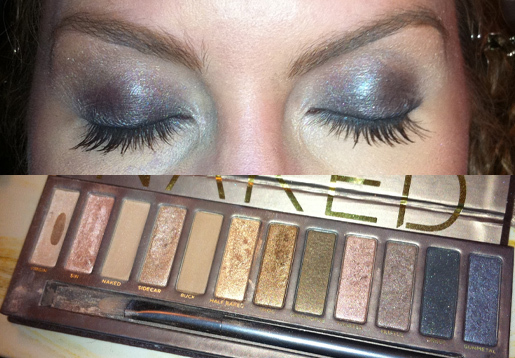 to the outer corner of the eyes and rounded and extended the eyebrows to give it that 30's look. 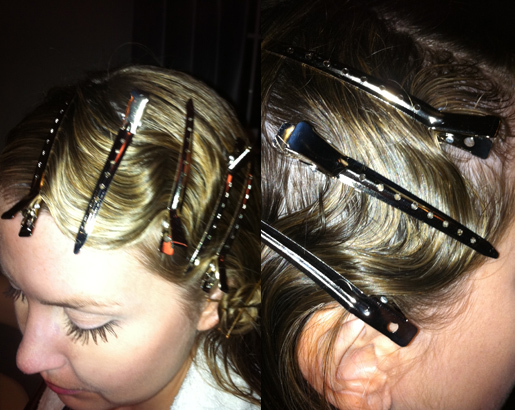 bobby pins to give the hair a bobbed look. You can see the final hair style in the photo shoot photos.